Mr. Adam Zurn with his student teacher Mr. Justin Egrestiz and aided by a 15 member strong team of student builders have created the dingy city streets of the Upper West Side. This year's set posed unique challenges such as building double-sided mobile pieces and a second story fire escape. The structures do not fully transform until painted by talented art teachers Mrs. Meg Lau and Mr. Scott Cantrell. Painting the set is not a duo effort. They are assisted by team of dedicated set painters who donated entire Sundays one of the few times the actors aren't on stage rehearsing. They do an amazing job creating the illusion that the cast is on the streets of New York City. Stage managers--Skye Reinacher and Lauren Kneisley--have been juggling the cast’s schedules and assembled a stage crew that has perfected their own unique choreography of moving set pieces. Lighting is being designed by Mr. Ethan Moore and his tech crew along with other technical aspects of the show. Dodson in addition to doing choreography has been busy helping the students gather costumes. Of course none of that would be possible without Thespian Society advisor Michele Meyer coordinates everything. This is what is so amazing about the world of live theater. It teaches everyone involved valuable life lessons. Communication, patience, hard work, commitment, time management, and most importantly collaboration just begin to scratch the surface of what theater teaches those involved. 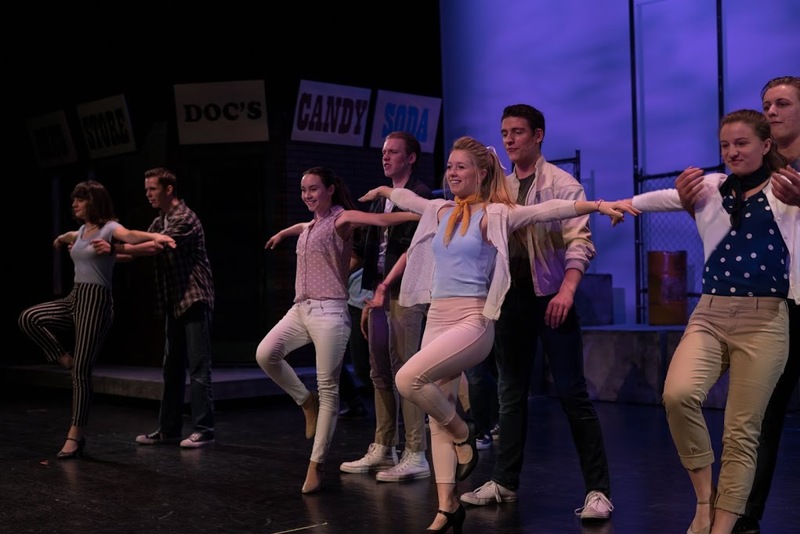 West Side Story is an entertaining, thought-provoking musical. 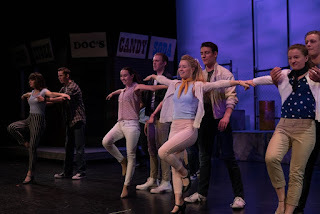 The show runs March 8, 9, and 10 at 7 pm. There is also an matinee on Saturday, March 10 at 2 pm. Tickets are on sale in the high school main office from noon to 4 pm but can also be purchased at the door.